These Pokemon were revealed before the launch of Pokemon X & Y. This Pokemon was revealed with the Pokemon X & Y announcement. Chespin is one of the three starter Pokemon for Pokemon X & Y. This Pokemon was revealed in the October 2013 CoroCoro magazine. 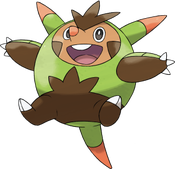 It is the evolved form of Chespin. This Pokemon was revealed with the Pokemon X & Y announcement. Fennekin is one of the three starter Pokemon for Pokemon X & Y. This Pokemon was revealed in the October 2013 CoroCoro magazine. It is the evolved form of Fennekin. 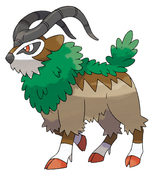 This Pokemon was revealed with the Pokemon X & Y announcement. 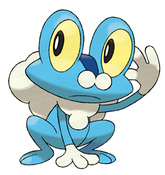 Froakie is one of the three starter Pokemon for Pokemon X & Y. This Pokemon was revealed in the October 2013 CoroCoro magazine. It is the evolved form of Froakie. This Pokemon was revealed with the Pokemon X & Y announcement. 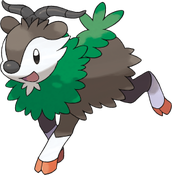 Xerneas is the legendary for Pokemon X. Known as the 'Life Pokemon', will have the ability 'Fairy Aura'. This Pokemon was revealed with the Pokemon X & Y announcement. Yveltal is the legendary for Pokemon Y. 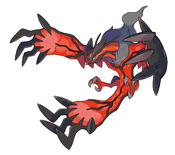 Known as the 'Destruction Pokemon', Yvetal will have the ability 'Dark Aura'. This Pokemon named Sylveon is to be a brand new, Gen 6, Eeveelution! No type is known for it, nor the means of evolution for it. Please come back for further information as it is released. This Pokemon was first revealed in CoroCoro magazine mid February 2013. 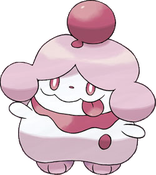 The English name was revealed by Nintendo a few days later. Revealed in the June 2013 CoroCoro magazine released mid May. Revealed in the August 2013 issue of CoroCoro. 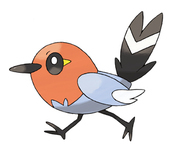 This is an evolved form of Fletchling. 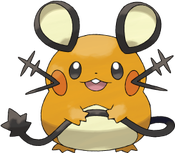 This Pokemon was revealed during E3 2013. Pangoro evolves from Pancham and was announced in the August CoroCoro magazine. This is the first stage of the Vivillon family. This Pokemon was revealed in June 2013 in the CoroCoro magazine. 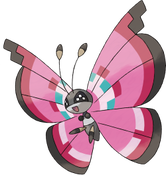 This is the middle stage of the Vivillon family. This Pokemon was revealed in June 2013 in the CoroCoro magazine. This Pokemon was revealed during Nintendo's E3 Direct. 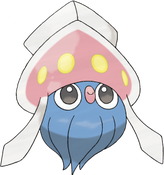 This Pokemon was revealed during E3 2013. This Pokemon was revealed in June 2013 in the CoroCoro magazine. 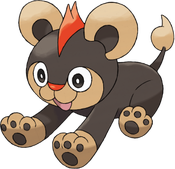 This Pokemon is the evolution of Litleo. It was accidentally revealed by IGN on September 11th, 2013. Revealed at the Japan expo in Paris, July 2013. French name is Monorpale. Doublade was revealed on the official site's Facebook page on 25th September, 2013. This Pokemon was revealed in the August CoroCoro magazine and will only be able to be caught in Pokemon Y. This Pokemon was revealed in Ciao magazine on 2nd October, 2013. 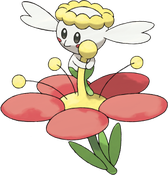 It is the evolved form of Spritzee and is exclusive to Pokemon Y. This Pokemon was revealed in the August CoroCoro magazine and will only be able to be caught in Pokemon X. 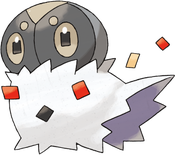 This Pokemon was revealed in the Ciao magazine on 2nd October, 2013. It is the evolution to Swilix and is exclusive to Pokemon X. This Pokemon evolves from Inkay via a new evolution method. Malamar was revealed in the August CoroCoro magazine. Inkay was revealed in the August CoroCoro magazine. This Pokemon was revealed in a trailer shown before the movie Extremespeed Genesect: Mewtwo Awakens in Japanese theaters. More information will be added as it's known. 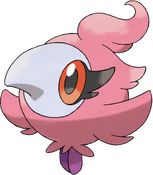 This Pokemon was officially revealed in the October 2013 CoroCoro magazine though could be seen for a second in the Pokemon Direct that aired September 4th. You will be able to give it hair cuts and colorings to change it's appearance. This Pokemon was revealed in the October 2013 CoroCoro magazine. It is one of the fossil Pokemon and is obtained by reviving the Jaw Fossil. This is the evolved form of Tyrunt. Tyrantrum was revealed on IGN on 19th September, 2013. It has the ability 'Strong Jaw'. This Pokemon was revealed in the October 2013 CoroCoro magazine. 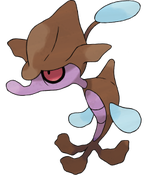 It is one of the fossil Pokemon and is obtained by reviving the Sail Fossil. 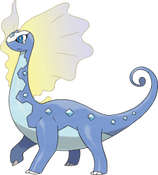 This is the evolved form of Amaura. It was leaked on the French website 'Jeux Video' and officially revealed soon after. It has the ability 'Refrigerate'. This Pokemon was revealed in the October 2013 issue of CoroCoro magazine. The different genders of this Pokemon have different movesets.